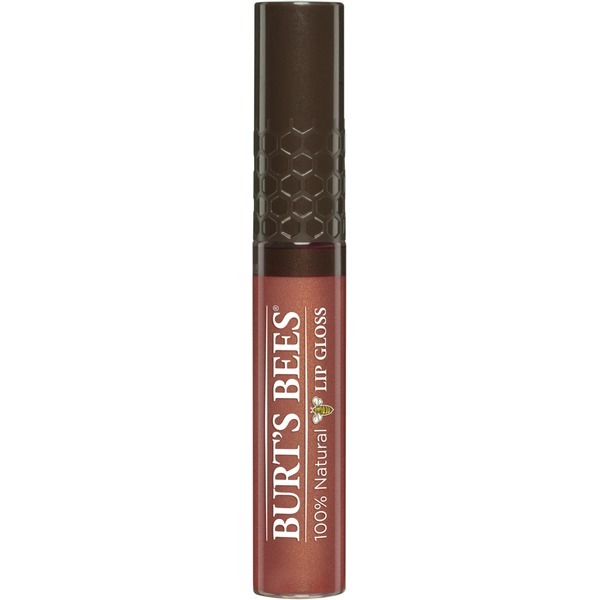 Burt's Bees® 100% Natural Lip Gloss Harvest Time. Ricinus Communis (Castor) Seed Oil, Oleic/Linoleic/Linolenic Polyglycerides, Cera Alba (Beeswax, Cire D'abeille), Aroma (Flavor)*, Silica, Helianthus Annuus (Sunflower) Seed Oil, Olea Europaea (Olive) Fruit Oil, Jojoba Esters, Ammonium Glycyrrhizate, Tocopherol, Glycine Soja (Soybean) Oil. *Natural flavor.